Peter Pearlman practices primarily in the areas of commercial litigation and business transactional work. Mr. Pearlman was graduated from the University of Illinois and Seton Hall University School of Law. He is admitted to practice and has represented clients before all state and federal courts in the State of New Jersey; The United States District Courts for the Northern District of California and the Northern, Southern and Eastern Districts of New York; the United States Circuit Court of Appeals and for the First, Second, Third, Fourth, Seventh and D.C. Circuits; and the United States Supreme Court, among others. He has been permitted to appear pro hac vice before a number of state and federal district courts throughout the United States. He also regularly represents clients before the Financial Industrial Regulatory Authority, the American Arbitration Association and other self-regulatory organizations. He has been certified continuously by the Supreme Court of New Jersey's Board on Trial Attorney Certification as a civil trial attorney since that certification first became available. Mr. Pearlman is and has been a member of the Lawyers' Advisory Committee for the U.S. District Court District of New Jersey since 2008. Mr. Pearlman is AV rated by Martindale-Hubbell. Mr. Pearlman has been included in The Best Lawyers in America in the area of Commercial Litigation. He is recognized in SuperLawyers for Business Litigation and Class Action/Mass Torts from 2005 through 2019, and also is listed in SuperLawyers Corporate Counsel. Mr. Pearlman was selected by the Association of the Federal Bar of the State of New Jersey and the New Jersey Commission on Professionalism in the Law as a recipient of a 2017 Professional Lawyer of the Year Award. 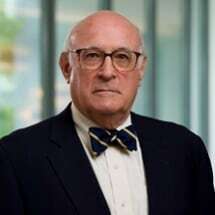 Mr. Pearlman has lectured on topics involving business litigation for the American Bar Association and the New Jersey Institute for Continuing Legal Education. He has taught trial advocacy for The National Institute of Trial Advocacy and has also taught trial and appellate skills at Hofstra, Widener and Roger Williams Schools of Law. He served for ten years as trustee of the Association of the Federal Bar of New Jersey, and is co-chair of the Class Action Committee of the New Jersey State Bar Association. Cases in which Mr. Pearlman has been involved have been the subject of more than 60 published opinions, many of which have established important legal precedents. As a transactional attorney, Mr. Pearlman has represented numerous clients in the formation, purchase, sale, reorganization and franchising of corporations, partnerships and limited liability companies in transactions ranging from a few hundred thousand dollars to in excess of $100 million. Mr. Pearlman is a member of the Executive Committee of the firm.